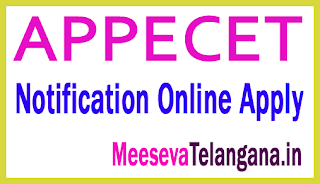 APPECET 2019 Notification: Andhra Pradesh Physical Education Joint Entrance Test (AP PECET-2019) for admission in approved BPEd (two years) & UGDPEd (two years) Courses of universities and affiliated colleges in Andhra Pradesh State offered for the academic year 2018-19 Eligible candidates can apply online from 8 March 2019 to 7 April 2019. The tests will start from 01 May 2019. For further details, please see below. Name of the leader: Acharya Nagarjuna University (ANU). Name of test: Physical training Common entrance test (PECET-2019). For B.P.Ed: Candidates should have appeared or passed three years of final examination from a university in A.P. Or another recognized university. 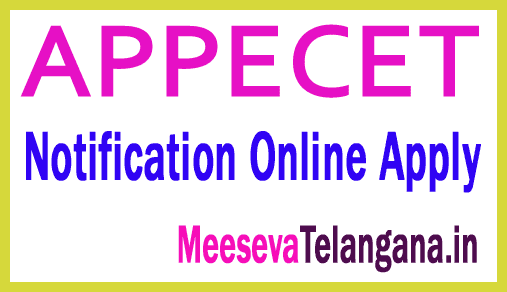 For U.G.D.P.Ed: Candidates should appear or passed Intermediate or equivalent course, approved by the Government of Andhra Pradesh. The registration fee for the online submission can be paid at AP Online Centers or via Payment Gateway (Credit Card / Debit Card / Net Banking). Rs 600 / - for SC / ST candidates. Rs 800 / - for other candidates. Select the payment mode AP Online Centers or the payment gateway (credit card / debit card / net banking). Enter the required information, select Center and click Send. Print the registration form for future reference.